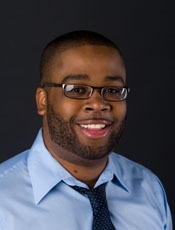 Mark Luckie, manager of journalism for Twitter, will teach a series of basic and advanced social media sessions with SPJ DePaul, DePaul University and the Chicago Sun-Times on Wednesday, Jan. 23. Twitter basics: Jan. 23, 1 p.m. in room 1220, 14 E. Jackson Blvd., 12th floor. This two-hour, hands-on session will help you get set up on Twitter and do basic reporting and tweeting. Luckie will include examples and share best practices. Advanced Twitter, Jan. 23, 6 p.m. at the Chicago Sun-Times offices, 350 N. Orleans, 10th floor. To enroll in a session, put your name on the signup sheet on SPJ DePaul adviser Mike Reilley’s office door. His office is room 1106, 14 E. Jackson Blvd., 11th floor. Luckie is author of “The Digital Journalist’s Handbook” and founded the 10,000 words blog. He’s a former staffer at the Washington Post, Los Angeles Times and Entertainment Weekly. Follow Luckie on Twitter @marksluckie and check for updates on this event from us @spjdepaul.